Even before he produced the screen story for AI Artificial Intelligence for Stanley Kubrik, and wrote the very first novels in the Warhammer 40K universe, Ian Watson was widely recognised as one of Britain’s most influential and creative writers. 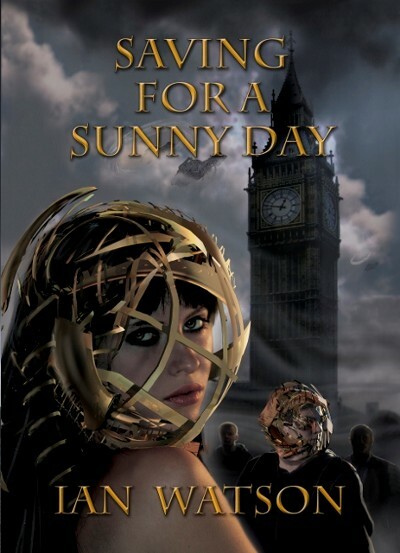 Saving for a Sunny Day showcases Ian at his best: fifteen previously uncollected stories personally selected by the author, each accompanied by comments regarding their inspiration. The collection is introduced by Adam Roberts, who takes the opportunity to assess Ian’s entire oeuvre. A must-read for anyone who enjoys high quality, thought-provoking fiction.